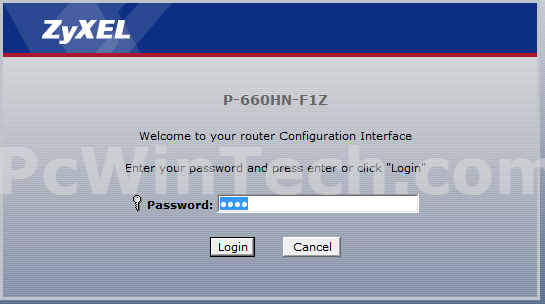 Enter the routers password here and click the Login button. 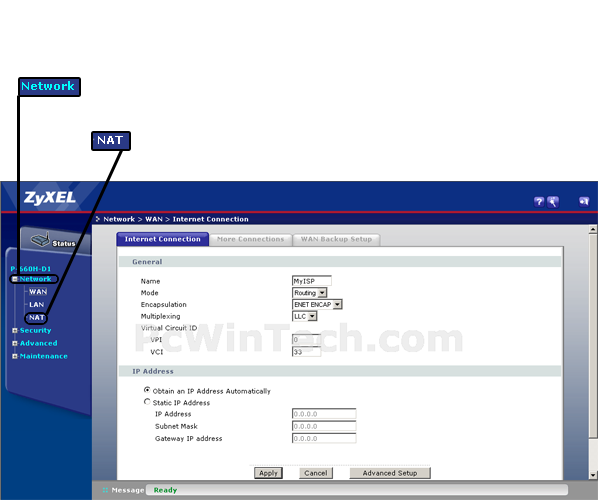 Once logged into your router click on the "Network" link at the left of the page. After the page loads click the "NAT" link listed under "Network" on the left. 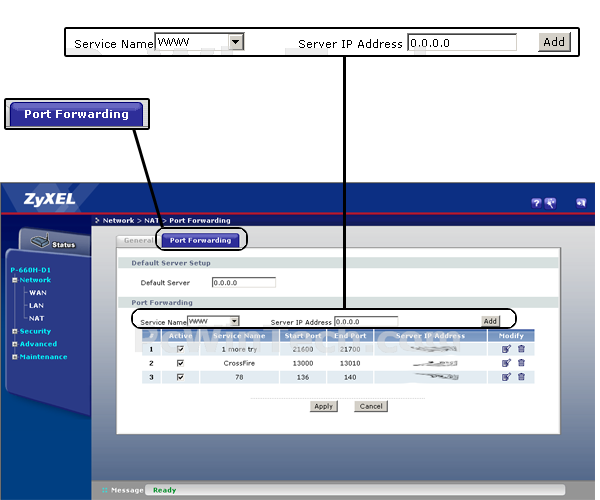 Now click on the "Port Forwarding" tab at the top of the page. And for "Server IP Address" enter the computers IP address you want to forward to, and Press the "Add" button. Once the page loads check the "Active" box at the top. Now for "Service Name" give your rule a name. For "Start Port" enter the port you want to forward. Example: Start:2100 End:2200 for a range, OR Start:2100 End:2100 for a single port. 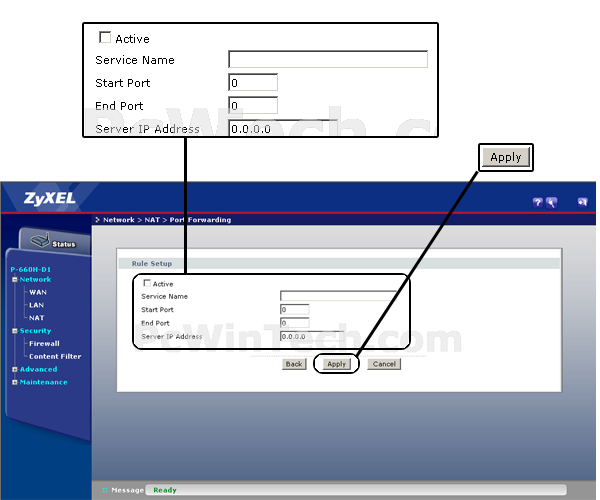 For "Server IP Address" enter the IP of the computer you want to forward the port to. Click the Apply button when you are finished. Repeat Step 5 to add more rules.